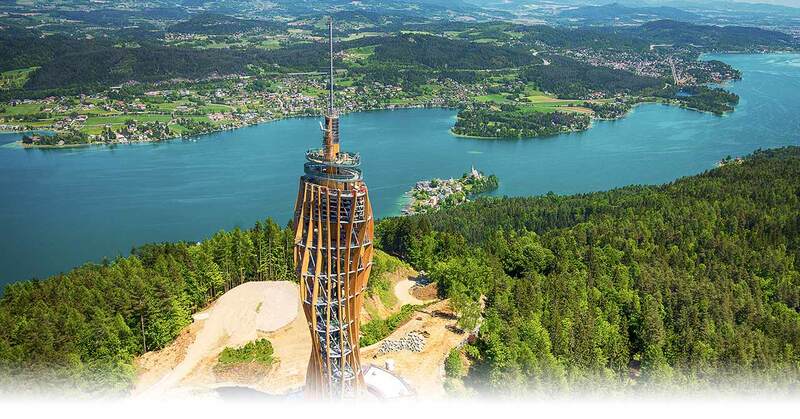 The Kärnten Card opens the doors to over 100 destinations in Carinthia, with free entry. There are also great discounts and reduced prices with more than 60 other bonus partners. As a Kärnten Card holder you can look forward to free entry to 100 of the most popular destinations in Carinthia! From the Porsche car museum via the Obir dripstone caves through to a nostalgic train ride! And to top it all: cross all the mountains free! With the Kärnten Card you can enjoy almost all the Carinthian mountain railways free of charge! And you can also explore Carinthia’s fantastic panoramic roads free by car! Travel free of charge on the lakes! The unforgettable boat trips on Lake Millstätter See, Lake Ossiacher See and on the River Drau are also available to you free of charge for the duration of your holiday. Here is a link to the official website from Kärnten Card with all attractions. What's the price for Kärnten Card? The Kärnten Card is available as 1-week-card, 2-week-card and 5-week-card. For children up to about 6 years (age group) the Kärnten Card is free of charge. There is a price reduction for older children. The 3rd and every further children per family are free of charge. With your Kärnten Card you can use all the services listed as often as you want and free of charge for the duration of your holiday. Kärnten Card is valid from April to October. You can buy it at our reception or you can book it online (as enhancement) together with your stay with us.